Martin Howse explores the rich links between substance and materials; execution and protocol; by excavating issues of visibility and of hiding within the world. He will explain some of his recent projects, which include links to early alchemy, in which, as a modern alchemist, he gives a voice to the earth. Martin Howse is occupied with an artistic, interdisciplinary investigation of the links between the earth, software and the human psyche. For the last sixteen years he has pioneered numerous open-laboratory style projects and performed, workshopped, lectured and exhibited in galleries, venues and festivals across Europe, North and South America. From 1998 to 2005 he was director of ap, a software performance group working with electronic waste, and pioneering an early approach to digital glitch. 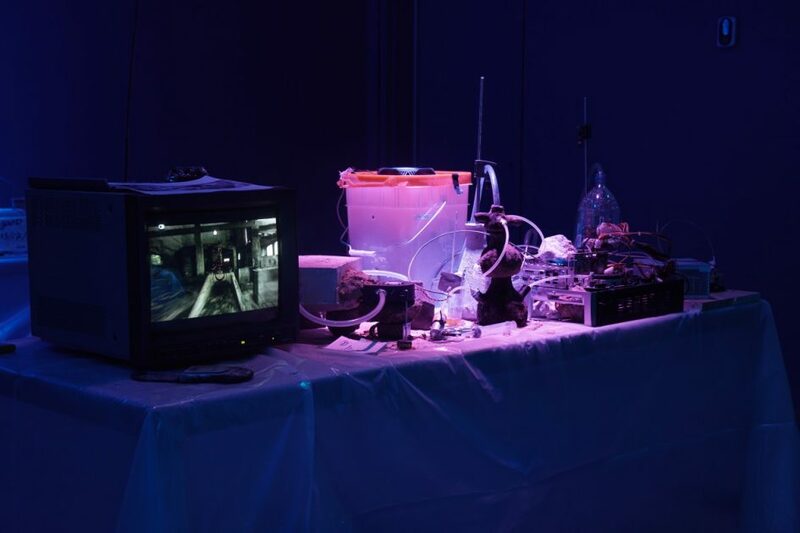 In 2005 his environmental computational work, entitled ap0201 installed within the Mojave desert received first prize within the Art & Artificial Life competition VIDA 8.0. In 2005 ap were responsible for the crash seminar and performance series in London produced by Arts Council England. In 2006 Martin Howse co-founded xxxxx, organising one large-scale conference and concert series in London (xxxxx) and publishing the acclaimed xxxxx [reader]. From 2007 to 2009 he hosted a regular workshop, micro-residency and salon series in Berlin funded by Hauptstadtkulturfond. Over the last six years he has performed at established venues in London, Amsterdam, Berlin, New York, Chicago, Montreal and Mexico City. He has conducted numerous workshops worldwide exploring the links between technology and the earth, sharing knowledge through DIY art-science techniques. He has also exhibited collaborative and solo works such as The Crystal World, Psychogeophysics and Sketches for an Earth Computer at galleries in London, Brussels, and Berlin. He is equally the creator of the skin-driven audio divination and noise module, The Dark Interpreter.